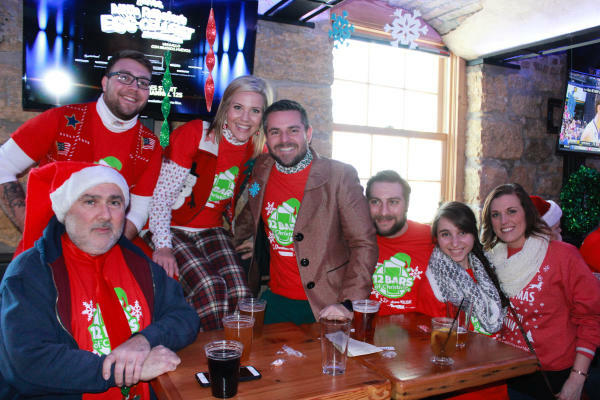 Holiday cheer and a bit of holiday revelry will be on display during the 2nd Annual 12 Bars of Christmas Pub Crawl on December 17. Starting with a 3 p.m. kick-off party at BMO Harris Bank Center, that will include a DJ, food & drink, lots of prizes and your closest 12 Bars friends! 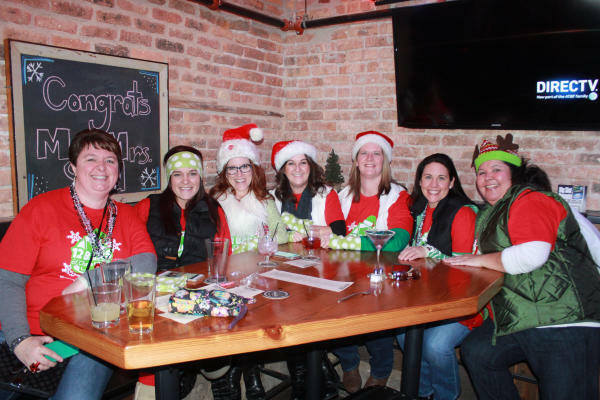 At 5 p.m., the event crawls on to some of the most popular Rockford hot spots! Tickets are just $28! Sponsored by Illinois Bank & Trust! o More items being added daily! -This is a fundraiser to support future events and activities in downtown Rockford such as festivals, public art, landscape enhancement, and much more. So... get your ticket today! Each participating establishment will offer a $5 Holiday Drink and complimentary, non-alcoholic, hot chocolate &/or coffee. 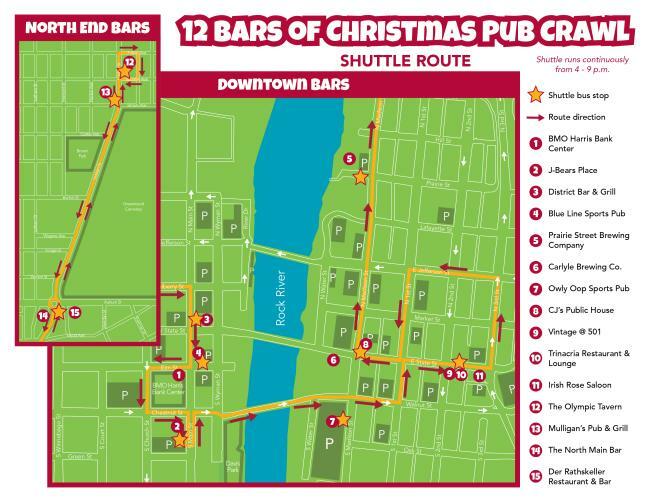 We&apos;ve encouraged all stops to make their&apos;s the most fun and unique by including holiday music, giveaways, food specials and other exciting surprises! This event is guaranteed to be filled with Holiday awesomeness! And, don&apos;t be shy - invite your friends, family and coworkers! 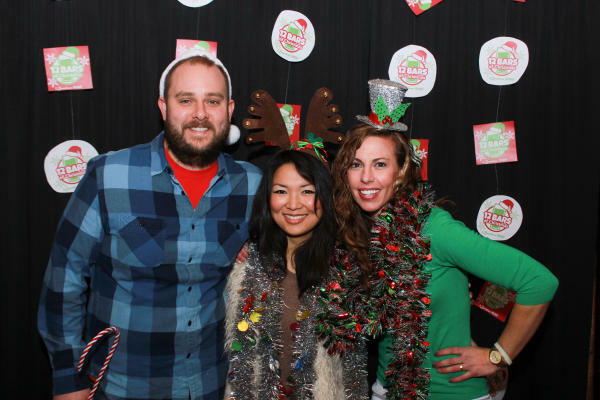 We&apos;re looking forward to seeing you all in your funky holiday get-up! Must be at least 21 years of age to participate! Bag pick-up will take place on Thursday 12/15 and Friday 12/16 @ the RACVB office, located at 102 N Main Street and at the Kick-off party on event day. A photo ID is required for all bag pick-ups. Photo ID&apos;s will be checked at Kick-off party entrance.